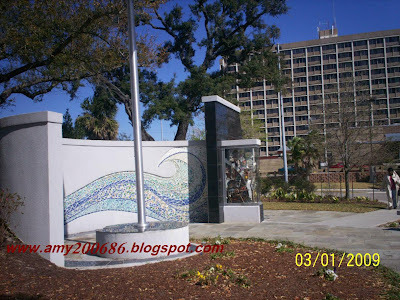 history, struck th Mississippi Gulf Coast. 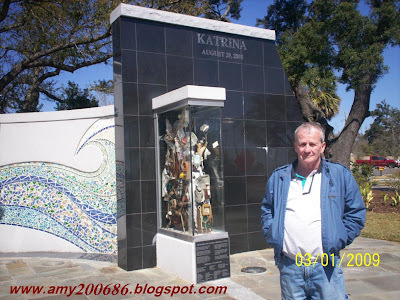 Katrina Memorial on the Biloxi Town Green. 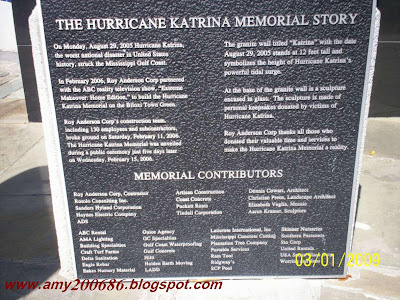 broke ground on Saturday February 11, 2006.
make the Hurricane Katrina Memorial a reality. 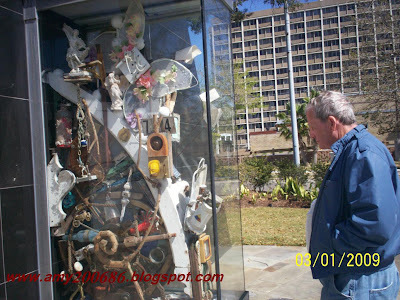 No wonder that up until now, you will really see and almost impossible to imagine why the houses and buildings totally gone. The waves is as tall as that granite wall. Where is it coming from? Across the road is already the gulf coast. 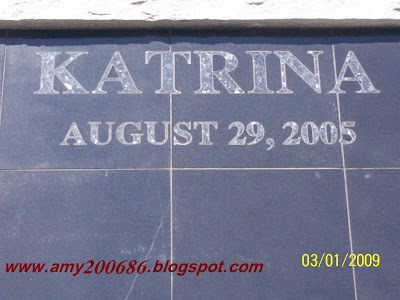 This is the view fronting the Katrina Memorial. 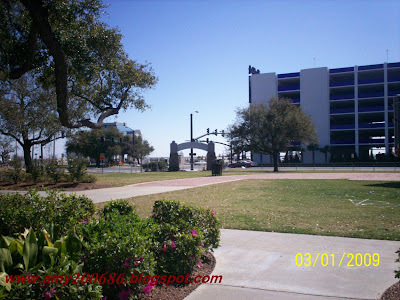 The tall building is the garage of HARDROCK HOTEL and CASINO and the back area is already the gulf coast. The water surge came in where I stand at 12 feet high.